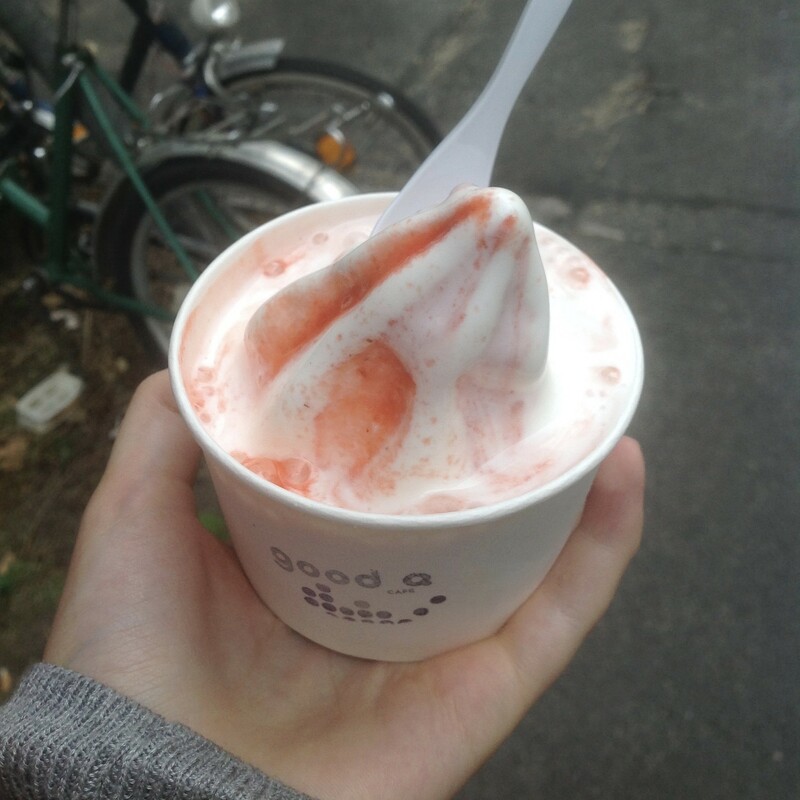 Blog: 10 things to do in Berlin this summer! Today, I’ve come up with a list of the ten things I've enjoyed doing during my holidays in this fantastic city. Bear in mind that I went in August both times (2015 and 2017), so some of these activities are more suitable for sunny weather. 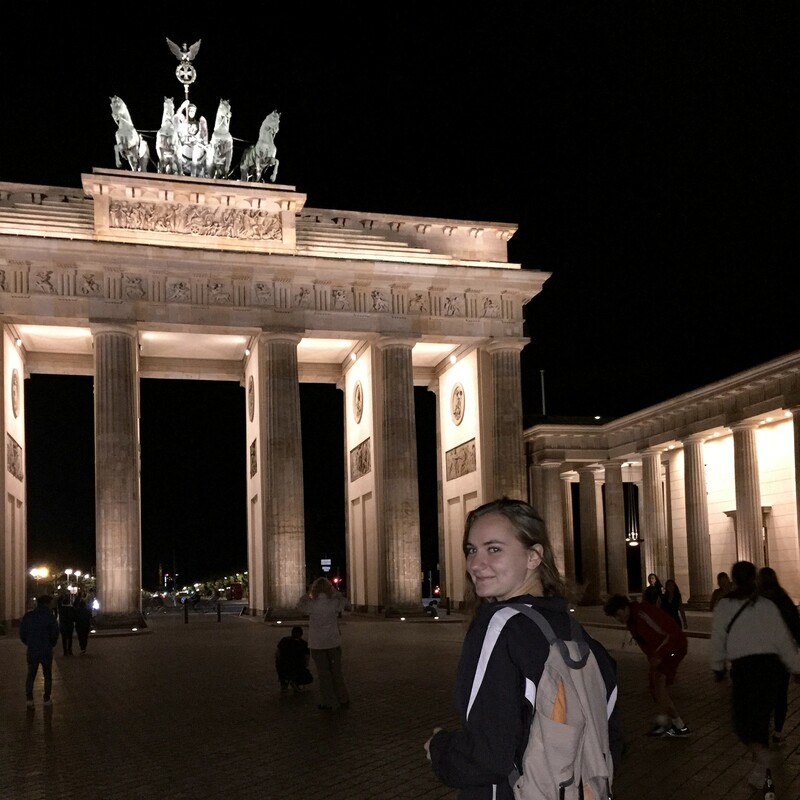 The Brandenburg Gate (Brandenburger Tor): a magnificent eighteenth-century structure, which, during the Cold War was a nasty reminder of the division between East and West Germany. Since the collapse of the Berlin Wall, it has become a symbol of reunification, as well as a popular backdrop for tourist photos. The East Side Gallery: the painted remains of the Berlin Wall, which today make up the world’s longest open-air gallery. Home to over a hundred murals, this is an unmissable monument with an unforgettable history attached to it. Famous works include Dmitri Wrubel’s ‘The Kiss’ and Birgit Kinder’s ‘Trabent’. Berlin Cathedral (Berliner Dom): an impressive Protestant church, located on the city’s Museum Island. For 7€ (or 5€ if you’re a student), you can climb to the top of the dome for stunning views over the German capital. 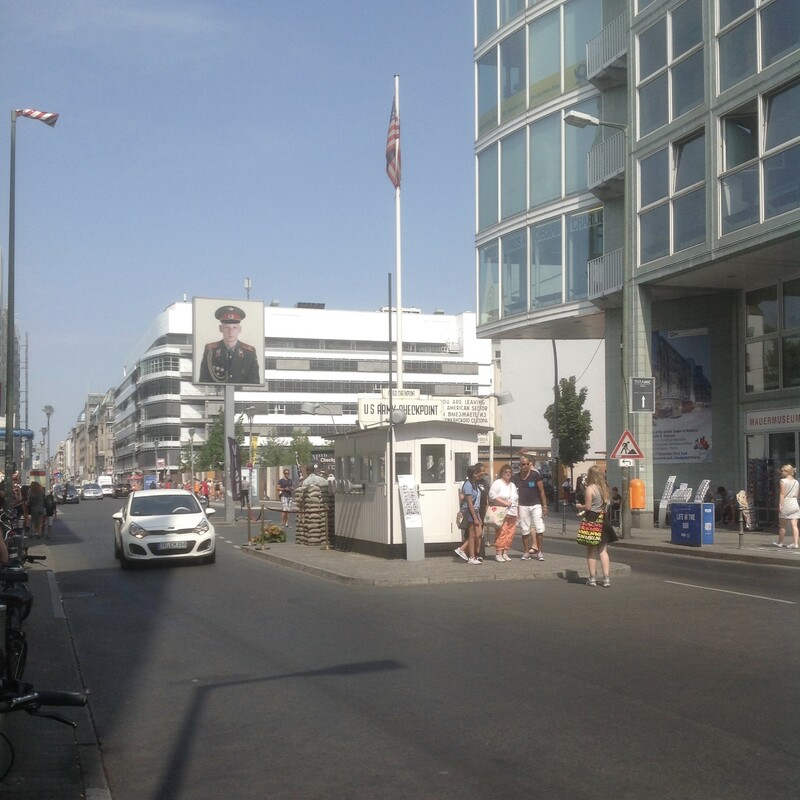 And one to avoid: Another popular landmark is Checkpoint Charlie, but I personally wouldn’t recommend bothering with it (at the very least, don't go out of your way to see it). 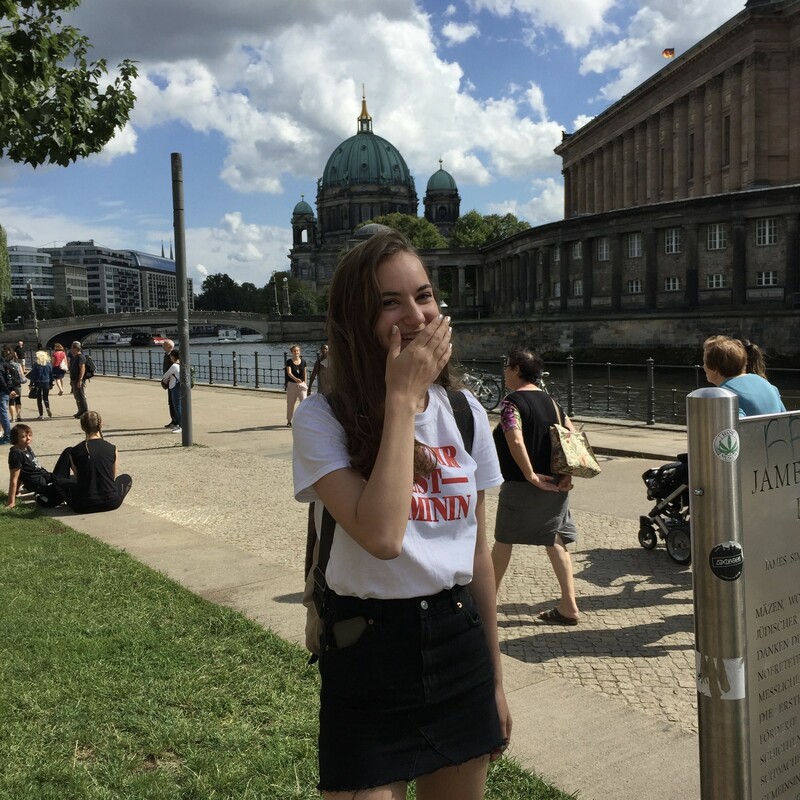 I paid a tribute the first time I was in Berlin, and there was really very little to see. Even worse, what was there wasn't even authentic, but a reconstruction of a former border crossing point. All in all, it’s just a bit of a tourist trap. 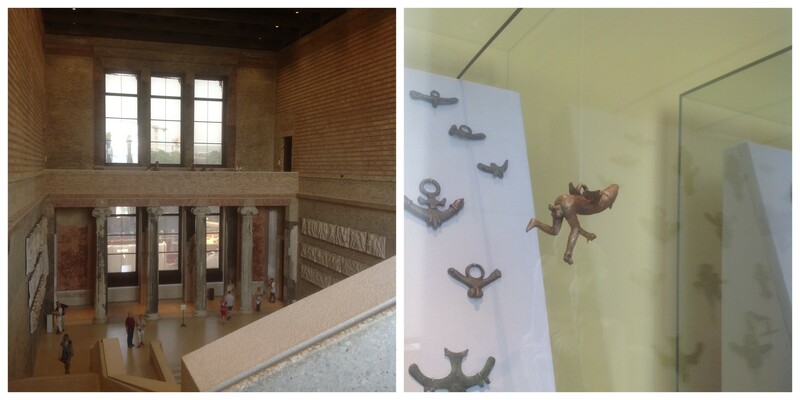 The city has a whole island dedicated to museums – very imaginatively named Museum Island (Museumsinsel) – and it’s the perfect place to spend a rainy summer afternoon. 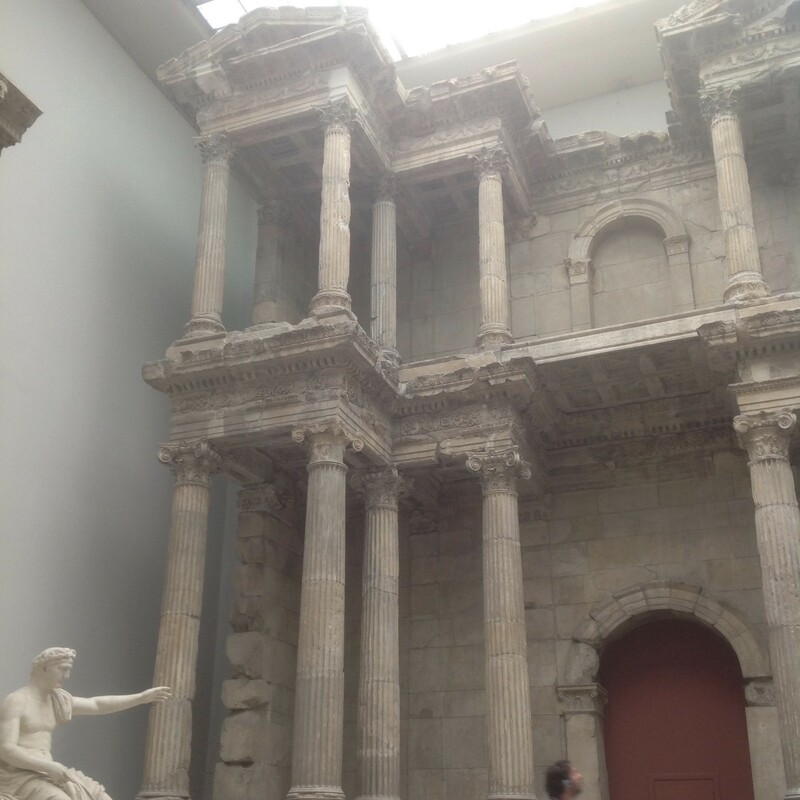 My personal favourite was the Pergamon Museum, which is home to some extraordinary Classical, Middle Eastern and Islamic artefacts. Below is a photo I took of the Market Gate of Miletus, but if there’s one thing you need to see – and there’s no way you’ll miss it! – it’s the incredible Ishtar Gate. Five minutes’ walk away, the Nueus Museum is also a place worth seeing. Judging from the photos I took during my visit, my seventeen-year-old self was particularly amused by the ancient phallic objects on display! 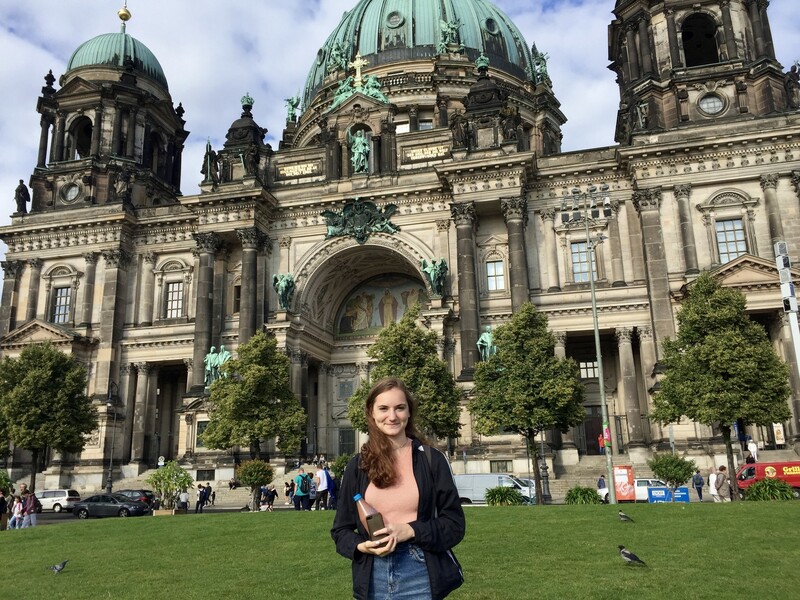 If you’re looking to find out more about Berlin’s past, I'd recommend venturing away from the island, and visiting both the Jewish Museum (Jüdisches Museum) and the German Historical Museum (Deutsches Historisches Museum). 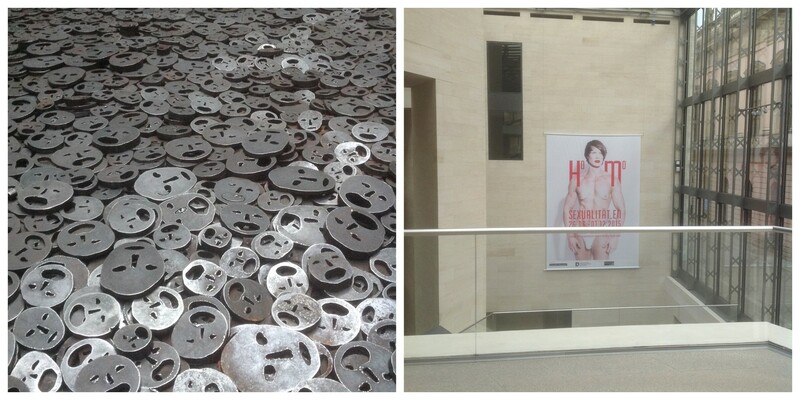 The former is the site of some incredibly harrowing art installations, including the famous Memory Void, a room filled with over ten thousand metal heads to commemorate some of the six million Holocaust victims. The latter museum always has very interesting temporary exhibitions on – I saw one on homosexuality – and their permanent displays also provide a great insight into the history of the city. 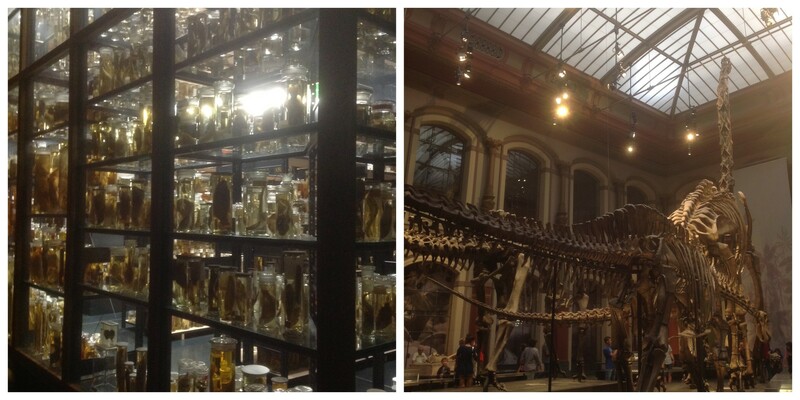 One final museum I loved was the Natural History Museum (Museum für Naturkunde). If you fancy seeing hundreds of animals in glass jars, as well as some classic dinosaur skeletons, this is the place for you! It's also very child-friendly, so great for families travelling to the city. I didn’t engage in an awful lot of retail therapy while in the city, but there are one or two places I did enjoy having a quick browse of! The first was Galeria Kaufhof, a large department store in Alexanderplatz, the confectionery section of which I was particularly impressed by. 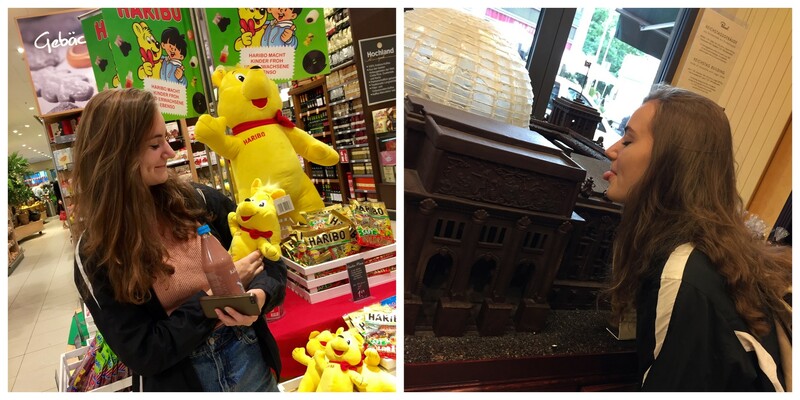 Keeping with the same theme, I'd also recommend visiting the Rausch Schokoladenhaus, a chocolate shop full of amazing models (spoiler: they're actually made of brown plastic). If you’re looking for some bargains, make sure to head to a Sunday flea market. 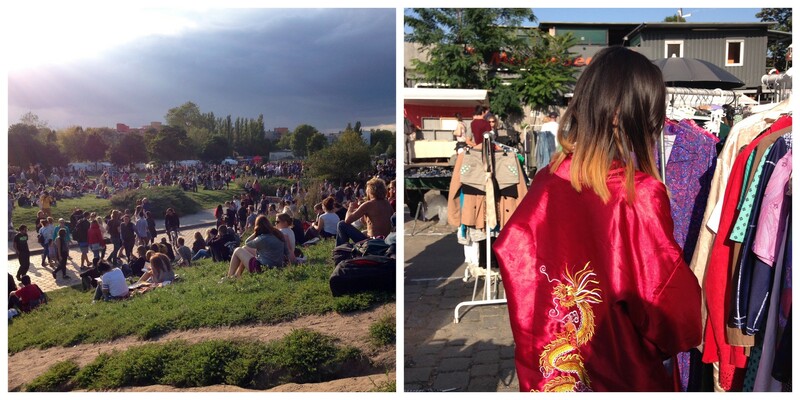 My friend and I had a fantastic time at the one in Mauerpark, where we spent a good few hours wandering from stall to stall, trying on vintage clothing – it was amazingly cheap, and some stalls were giving things away for free! – and treating ourselves to some delicious street food. We spent a long time afterwards basking in the sun on an adjacent hill, and enjoyed listening to some live music as we chatted. 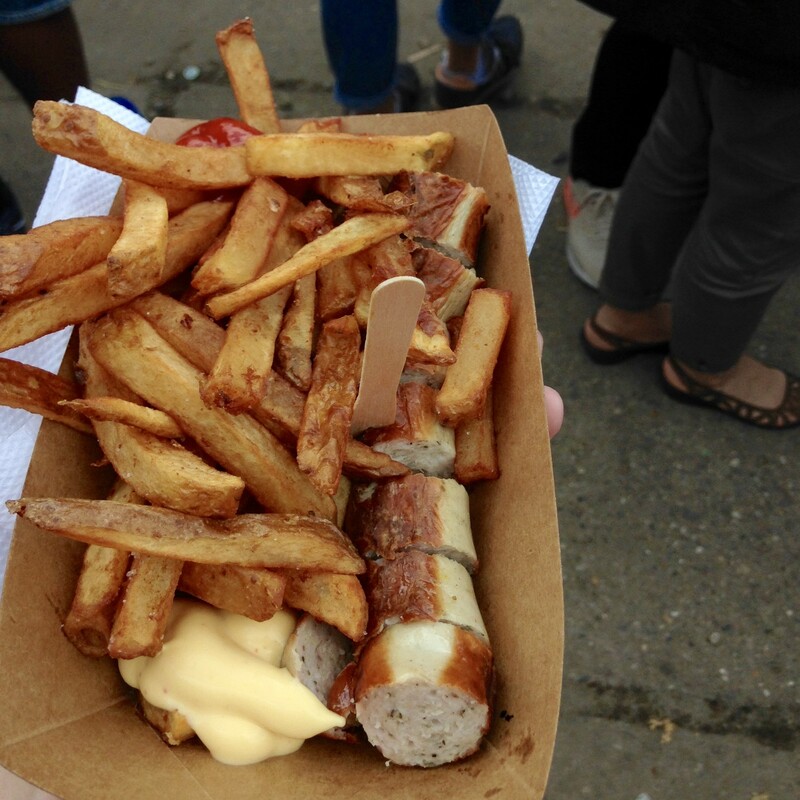 The one thing you’ve got to sample while in Berlin – or, indeed, anywhere in Germany – is wurst (sausage)! The most popular choice is currywurst, a pork sausage topped with spiced ketchup and curry powder. It’s a bit of an acquired taste, but if you walk past one of the many wurst vendors across the city, you’ve got to give it a try. Vegetarians and vegans, they’ve made versions for you, too, so no excuses! If you’re not feeling so adventurous, there’s always bratwurst (pictured below) to fall back on. For sit-down meals, I’d recommend indulging in some Vietnamese food. 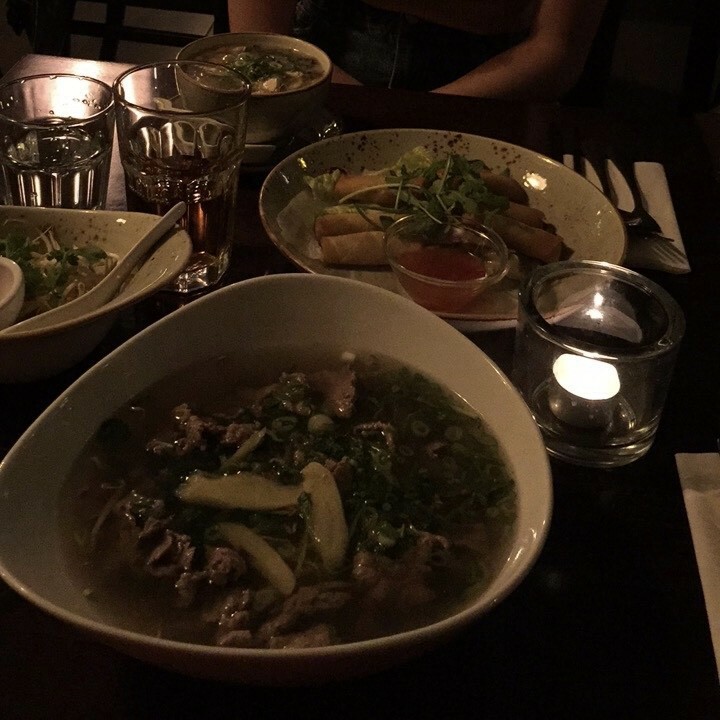 A lot of people fled to Berlin from Vietnam during the Cold War, and there's a large community in the city today, so your meal will definitely be authentic. Even better: it won't break the bank. I believe this whole dinner (two starters and two mains) cost us 14€! 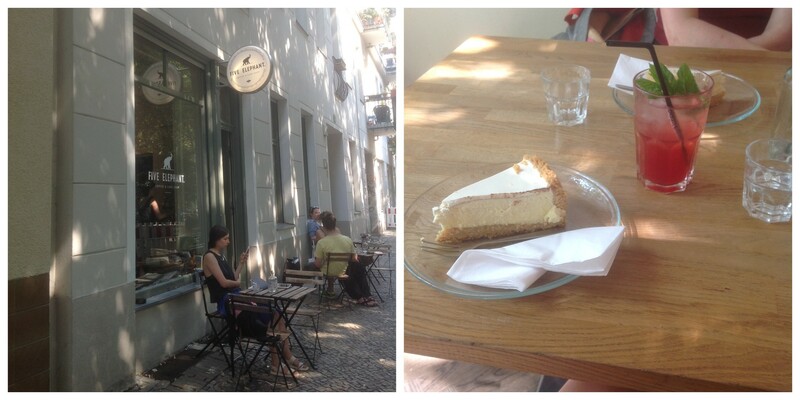 If you’re looking for an afternoon snack, head to Five Elephant and order some of their fantastic cheesecake. Experts consider it to to be some of the best in the world, and my mother and I certainly weren’t disappointed by ours! 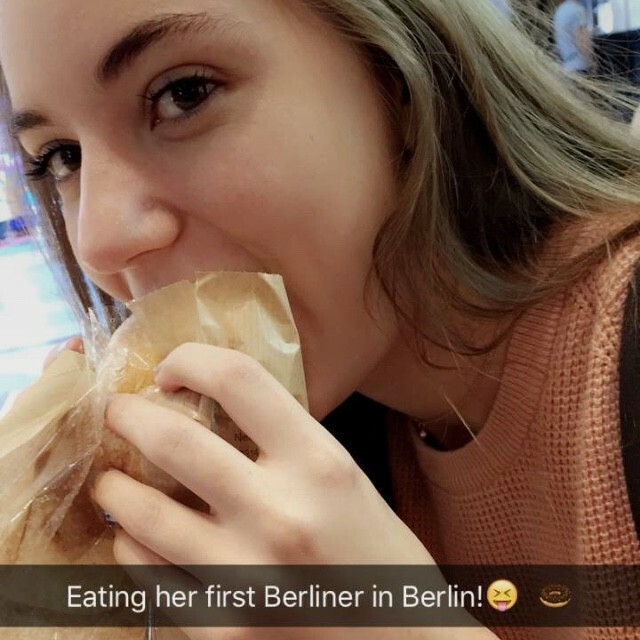 Alternatively, head to any café in the city and try a Berliner (jam-filled doughnut, coated with sugar). If anyone brings up that John F. Kennedy speech, let them know that the former president did not, in fact, make any errors with his German. That's all just an urban myth. Finally, if you're looking for confectionery items (they make a great present for people back home! 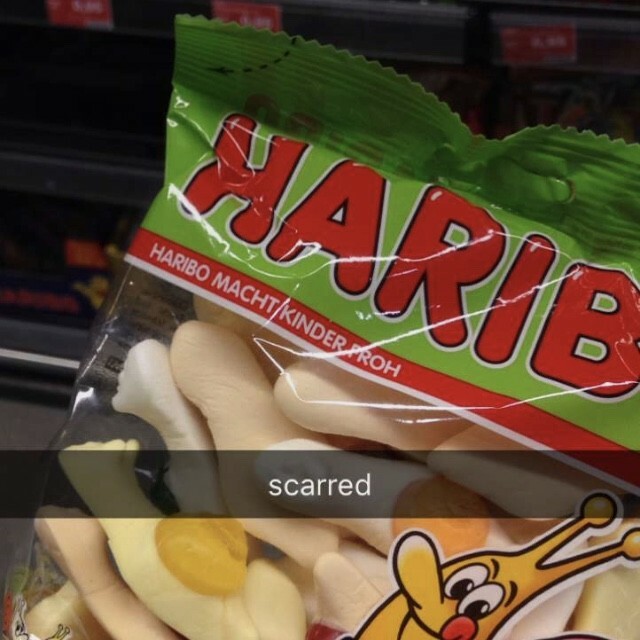 ), make sure to try some Haribos. You’ll find whole supermarket aisles devoted to these sweets in Germany, and that’s certainly not something I – a bit of an addict – was disappointed to find out! Check out these snail-shaped gummies I tried. 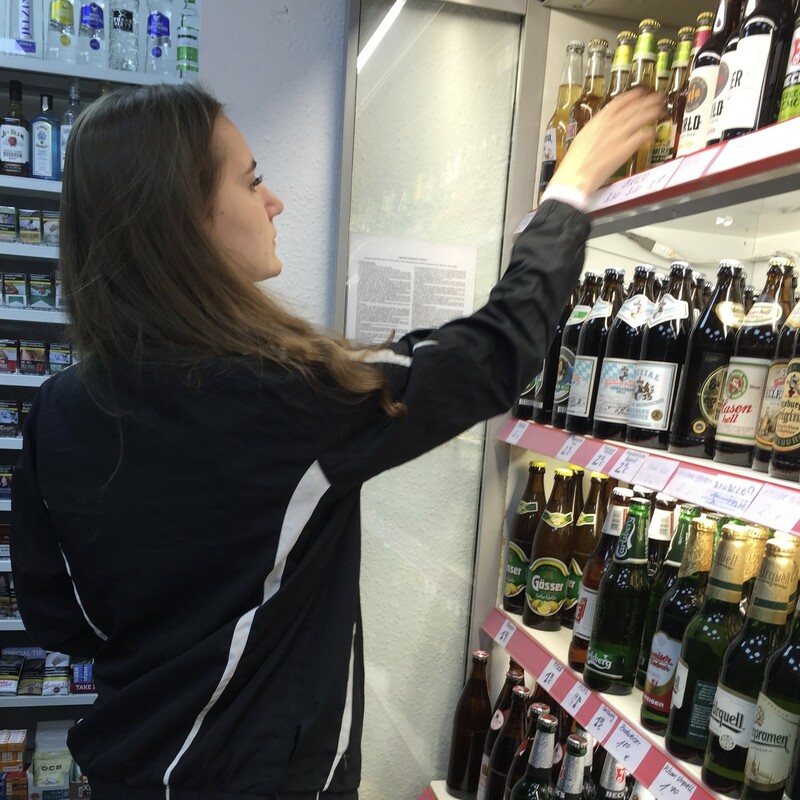 Beer is a very important part of Germany's culture, so make sure to treat yourself to some while you’re there! If you’ve come from the UK, you’ll be amazed by how cheap a pint is. 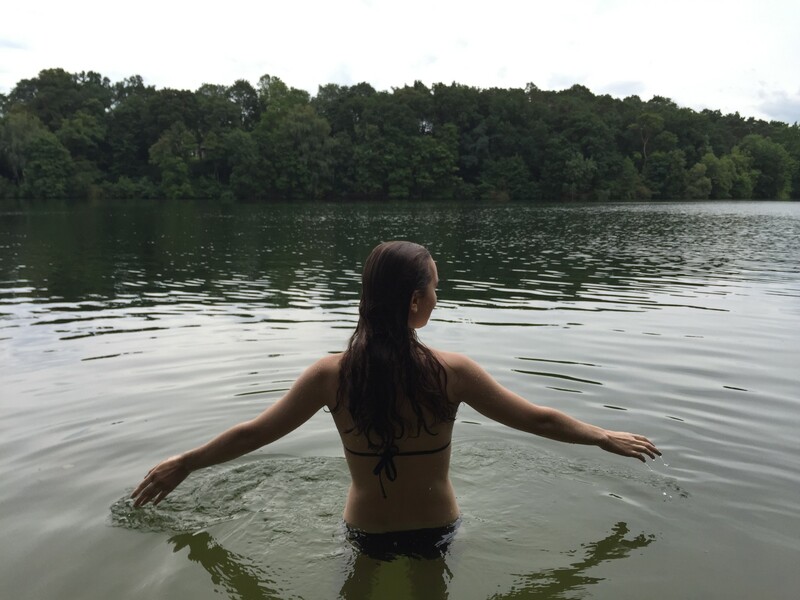 My friend and I spent our first morning together at Schlachtensee, one of the many lakes surrounding Berlin. It was a pretty cloudy day – we had a whole little beach to ourselves as a result! – but the water was still pleasant to swim in. If you’re not in the mood for a dip, you can also hire boats there, or enjoy a scenic walk through the surrounding forest. If you fancy bathing, but don’t want to make the journey to the outskirts of the city, you can always go to one of Berlin’s outdoor swimming pools! 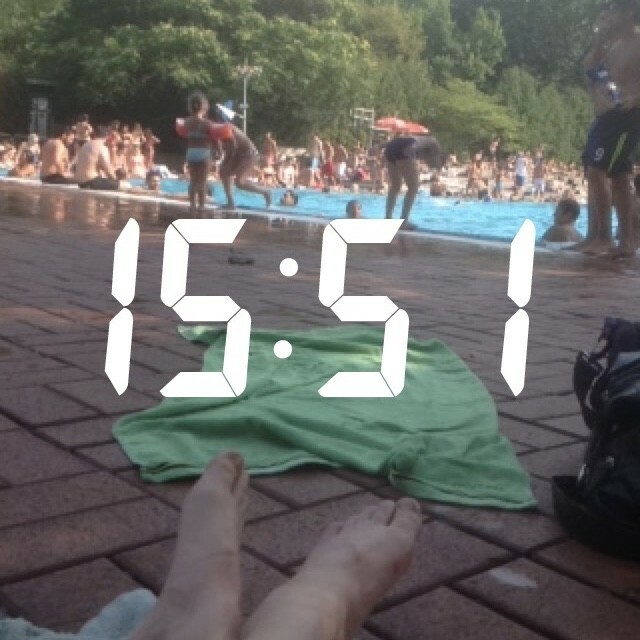 My mother and I thoroughly enjoyed our visit to Sommerbad Kreuzberg. The entry queue was pretty long, but we stuck it out, and were rewarded with blissfully cool water. Beware, if you manage to go, that there may be a few elderly folk wandering round the changing rooms starkers! 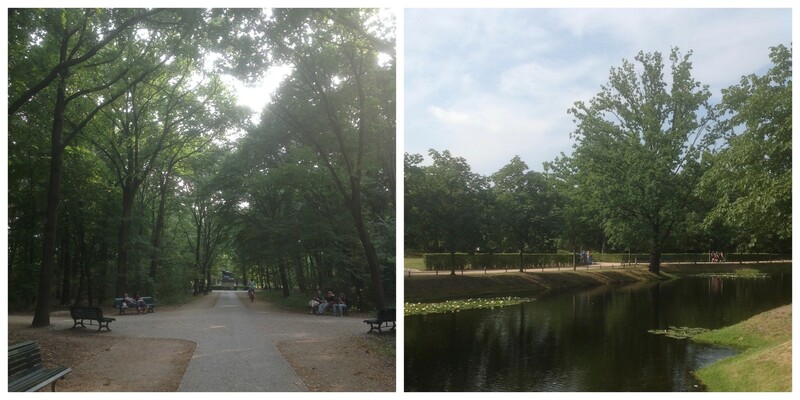 There are loads of lovely green spaces dotted around the city, but my favourite is the popular Tiergarten. I went there on my last day, and took some time off sightseeing to read a book next to a little pond. Next time, I'll be sure to venture further in and visit the zoo! If you want somewhere a little more lively, make sure to check out the James Simon Park by the river: it’s always packed with people during the summer, and there are some great bars nearby if you want to enjoy an evening aperitif! Another great place to relax in the sun is Teufelsberg, a hill that's just a short U-bahn ride from the city centre. 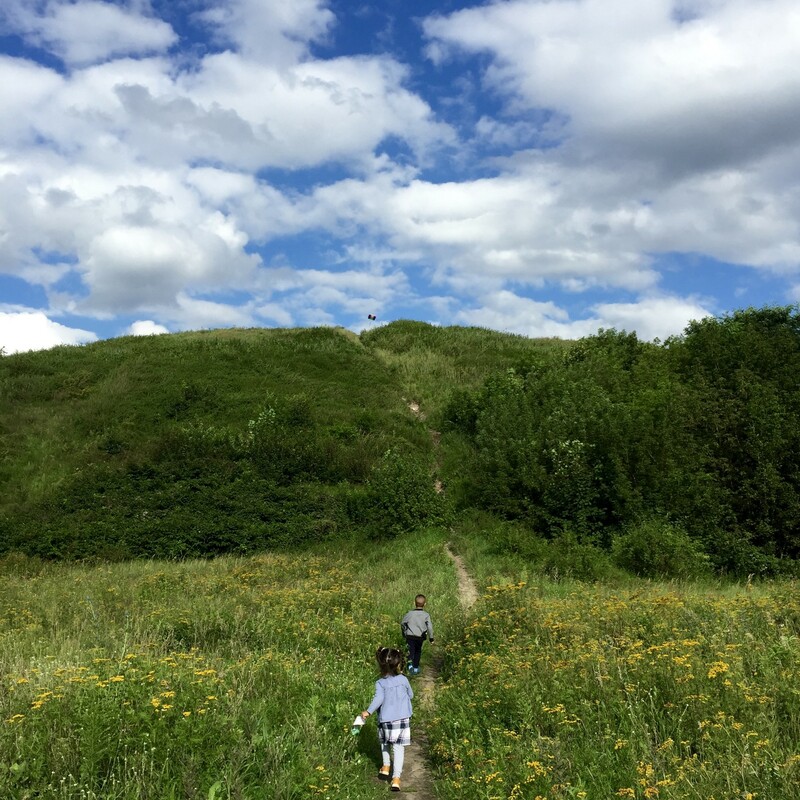 This man-made mound – which only takes a couple of minutes to climb – was actually built on top of a pile of rubble dumped there after the Second World War, but you certainly wouldn't guess it! It's a great place to see Berlin's skyline and watch people flying kites. If you’re not exhausted after travelling all day, have fun immersing yourself in Berlin’s buzzing nightlife! 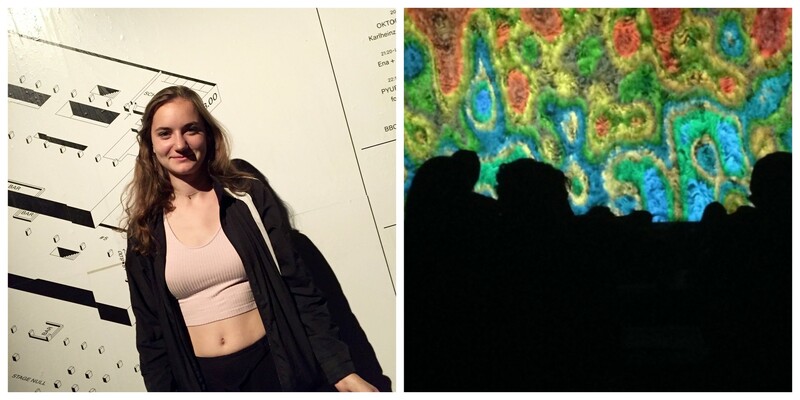 I’ve only actually been to one club there – a techno music venue called Tresor – but it was quite the experience! We had to queue for about an hour, and became increasingly worried as we saw more and more people being turned away at the door. However, rather miraculously, we were deemed worthy of entry by the bouncers, and for the hefty sum of 30€, enjoyed an evening of great tunes in this extraordinary abandoned power plant. We managed to survive there until 7am, and felt very strange going home to sleep as some people were waking up for a new day. 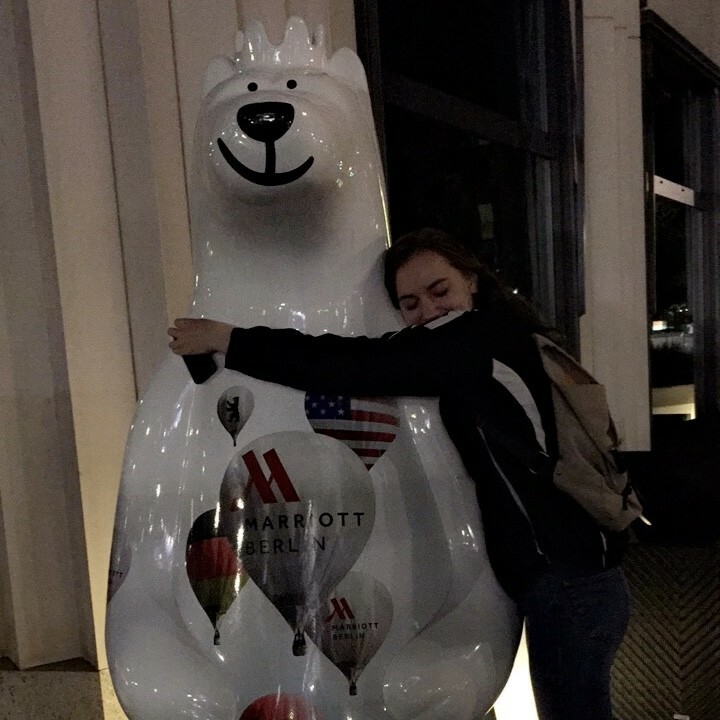 This content has been entered in the Erasmus Travellers Competition and have earned 1032 points.